The Oriental Claims Hydraulic Gold Sluicing Site consists of a vast network of sluicing faces, pebble dumps, tail races and water races. Water for sluicing would have been delivered to the site by high pressure pipelines and then directed at the gold bearing deposits. The technology was introduced into Victoria in about 1855. The name for the Historic Area comes from the name of a sluicing company which worked the area from 1876-1904; but the term also acknowledges the significant contribution of Chinese miners to the area's history. The Oriental Claims Hydraulic Gold Sluicing Site is of historical, archaeological and scientific importance to the State of Victoria. The Oriental Claims Hydraulic Gold Sluicing Site is historically and scientifically important as a characteristic and well preserved example of an early form of gold mining. 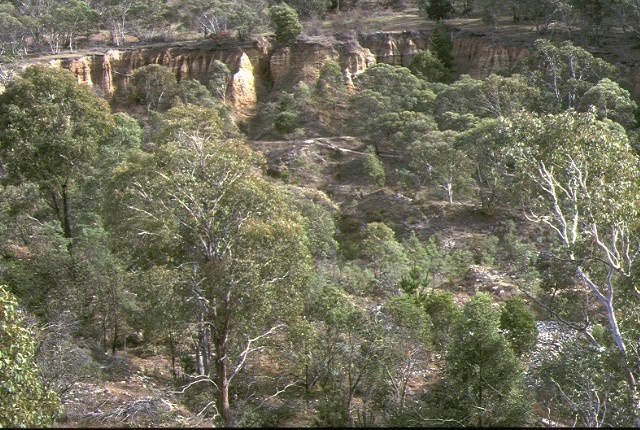 Gold mining sites are of crucial importance for the pivotal role they have played since 1851 in the development of Victoria. Hydraulic sluicing of alluvial gold deposits is an important key ingredient in an understanding of gold mining technology as it was employed in country where water was plentiful and perennial. The Oriental Claims Hydraulic Gold Sluicing Site is archaeologically important for its potential to yield artefacts and evidence which will be able to provide significant information about the cultural history of gold mining and the gold seekers themselves. 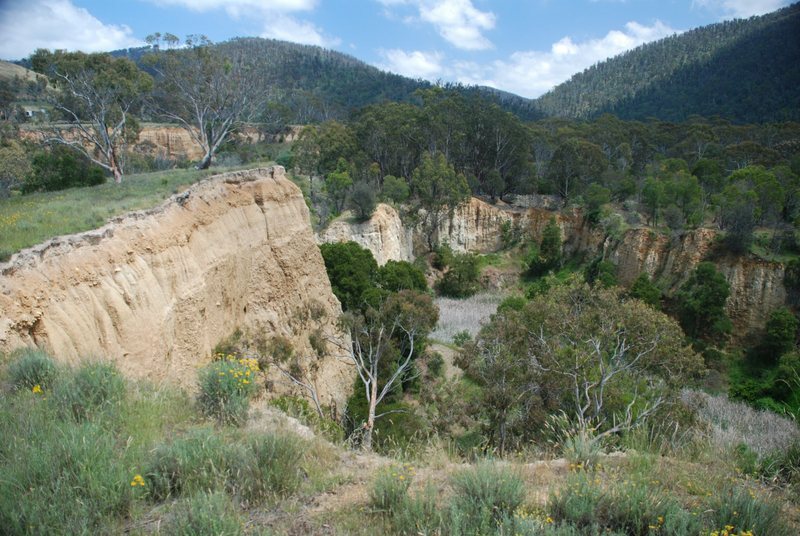 Oriental Claims Gold Sluicing Site, Oriental Claims Historic Area, Omeo, East Gippsland Shire Council. 1. All of the land known as the Oriental Claims Historic Area including the sluicing faces complete with pebble dumps, tailraces, and dams and any other gold mining relics in the vicinity of the point with Australian Map Grid co-ordinates E509 N928 on 1:100,000 map sheet number 8423 Omeo.